I took this photo through a stone with a hole in it that I found on a beach. Beyond it you can see the water in a rock pool reflecting the blue sky overhead. 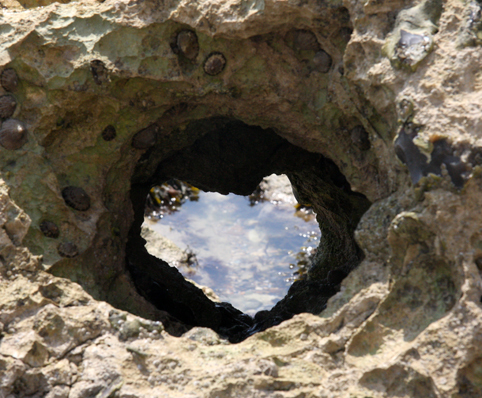 I rather like the heart-shape it forms, although it was difficult to get the stone, the hole and the water all in focus.